Earthwise Pest Management of Carmichael is striving to be a leader in pest control in the Sacramento region with pest control solutions for your home or business. We rely on our training and constant education to solve all your pest control needs. We enjoy taking on challenging jobs and getting results. Earthwise Pest Management takes pride in our alternative solutions and our Integrated Pest Management approach. All Services are Guaranteed that we will get rid of the pest that are bugging you! Bugs are disappearing before my eyes! We had a HUGE ant problem as well as black widows and carpet beetles. Even since our first spray, I have seen little to no sign of these buggers (with the exception of dead ones). HOORAY! Also, Jason was very kind and accommodating. Thank you, Earthwise! Super efficient and thoughtful about the long term. Very professional and friendly! The technician took extra time to makes sure my home and yard were both pest free. The Earthwise professionals are very good. They explained what their services included and answered my questions in a way I could understand. The office staff is pleasant and helpful. I would recommend this company to neighbors and friends. Very happy with your service. Since we've had you servicing our house we haven't seen any roaches around our house. We were very pleased with the professional work done by your company. We would highly recommend you to others needing this type of service! My service with earthwise (Chris) is always great customer service. Great communication, fair prices, friendly and efficient service. Excellent! Very helpful, accommodating and available with service and to follow with special requests. Thank you Earthwise for keeping our home pest free! Earthwise is a friendly,knowledgeable,professional establishment that I am pleased to be a customer with. Chris is an outstanding technician. Chris's knowledge and work ethic are second to none. Chris's compassion for his clients is a reminder to why I chose earthwise pest management. He does an exceptionally job! Great job! And price is right! I contacted Earthwise to deal with an ant problem. Chris was thorough and professional, and he explained toxicity issues and when I could remove the spray in the kitchen to ensure that the ants were taken care of. He was also very clear about when I could expect the ants to be gone, as well as when I should call him for a free touch up if they weren't. It's been a week, the ants are gone. Very happy with the service! We were inundated with ants and one treatment has worked tremendously. We signed up for the quarterly service to keep this from happening again. A call before someone comes out for service would be nice. Other companies do this. I have had people just show up to the house on several occasions when I had no idea service was scheduled. Very happy with service and good communication. I am super happy with Earthwise Pest Elimination’s service. Very friendly staff. Earthwise Pest customer service team is super, super friendly & helpful. The technician team is very friendly and responsible too. I am so happy to work with Earthwise.... Great Job! I am very happy with Earthwise Pest control because the employees in the office and in the field are always very courteous, knowledgeable, and responsive to my requests. They explain the various treatment options and allow me to decide what I think is best. The technician is always courteous and efficient and answers any questions we have...the spiders etc are all under control. Thanks. Pleasant prompt and green products. All good. You took your time. Answered all of my questions. Came back as many times as was necessary. I will highly recommend you to anyone. Thank you for everything. Chris, very professional, polite, knowable, punctual. So far very satisfied with the company. Jason was very knowledgeable and did an excellent job. Thanks. The staff at Earthwise is great! Katelyn was so accommodating and helpful in defining our problem, and Chris was fast, professional, and went the extra mile doing extra work at no extra charge when he came to do the service. 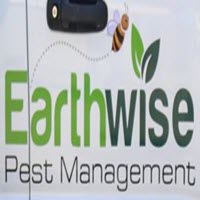 We will definitely using Earthwise for all of our pest management needs. Our Technician Jason is very knowledgeable and always pleasant. He has exceptional customer service skills and we've come to trust him. Some pests are harder to get rid than others. Since we've been following the instructions from Earthwise and Jason we've seen significant improvement. No one wants bugs in their home, but once they show up you have to deal with them or get run out of your own home. We stored some personal belongings for a friend and those items were infested. We were embarrassed to call for help, but the folks at Earthwise didn't judge or talk down to us. They understood we had uninvited guests that we wanted out and they took very good care of us. We opted for ongoing service every 3 months which addresses any new problems and more importantly fits our budget. I highly recommend Earthwise Pest Control. Not only are they super professional folks they are friends too. Great service, always on time, provided insightful information & tips about pest control. Biggest issues was Wasps but resolved after two sessions with Earthwise Pest Elimination. Honey bees are returning after wasps are gone. Thank you. Great job, especially making sure that you don't kill any bees, but spiders seem to come back pretty quick. We have webs under our vehicles and on our garbage cans pretty quick after a spray. Chris was knowledgeable and professional. He even went out of his way to recommend flea treatment for our dogs. Also discovered a termite issue on the property that was not known about. Nice job and very professional as usual. Earthwise team is great to work with. They do their best to make sure the customer is taken care of. They are my goto source for pest management. Fast, friendly, and very professional. Will definitely recommend them to friends and family. Called about four wasp nests. They found over twenty! All gone, made plans to come back and check in couple of weeks, sooner if needed. So far, wasps gone. Yeah! I LOVE this company! Chris, our technician takes care of our home as if it was his own. He really does takes pride in his work!